August H. Culpepper, Son, M, Wh, 2, S, VA/VA/VA, None. Eddie O. Culpepper, Jr., Son, M, Wh, 1 6/12, S, VA/VA/VA. Edwin O. Culpepper, Head, M, Wh, 43, md@21, VA/VA/VA, Driver/Elec. Co.
Edwin Culpepper, Son, M, Wh, 11, sng, VA/VA/Canada. Jane Lee Taylor, Lodger, f, Wh, 70, sng, VA, 1935 in same place, Clerk/Dept Store. E-mail written 2000-2009 to Culpepper Connections from Ronald Buchanan, e-mail address. Minnie F. Culpeper, Daughter, Wh, F, Apr 1899, 1, S, VA/VA/VA. Vernon Culpepper, Son, M, Wh, 6, S, VA/VA/VA, None. + Culpepper, Hettie O 31541632, 1895 - 1956, "Sister"
+ Culpepper, Eddie 31541640, 1902 - 1955, "Brother." Vernon S. Culpeper, Son, M, Wh, 15, S, VA/VA/VA. Joseph Spruill, Boarder, M, Wh, 21, sng, NC/NC/NC. Eddie Culpepper, Son, M, Wh, 37, sng, VA, 1935 in same house, Farm Laborer. Birtie May Culpepper, White, Female, married Winfield M Carey in 1907 in Pasquotank Co., NC. + Carey, Bertie M Culpepper, 32528835, Dec. 5, 1890 - Oct. 4, 1966. + McCoy, Mary Agnes Culpepper 33641669, May 7, 1893 - Dec. 6, 1922. Find A Grave Memorial# 94386391. Benjamin M Culpepper, White, Male, married Marie Louise Bryan in 1917 in Pasquotank Co., NC. Frances L. Culpepper, Daughter, F, Wh, 1 2/12, S, VA/VA/VA. Marvin B. Culpepper, Son, M, Wh, 9, sng, VA/VA/VA. Find A Grave Memorial# 30703950. Benjamin M. Culpepper Sr., Head, M, Wh, 45, md, VA, 1935 in same place, Manager/Culpepper Heating & Plumbing Co.
Benjamin M. Culpepper Jr., Son, M, Wh, 19, sng, VA, 1935 in same house, Clerk/Insurance Adjustment Bureau. Find A Grave Memorial# 30744515. Find A Grave Memorial# 33549427. Obituary in Norfolk Virginian-Pilot, 24 Aug 2003, Page: B6. E-mail written 2000-2005 to Lew Griffin & Warren Culpepper from Juanita Frances Laughinghouse "Fran" Culpeper (#39405), Matthews, NC, e-mail address (Jan 2011). Blanch E. Culpeper, Daughter, F, Wh, 2 3/12, S, VA/NC/VA. + Culpepper, Martha Elizabeth "Bettie" Etheridge 82505542, Apr. 27, 1894 - Aug. 10, 2000. + Culpepper, George Winifred 82505475, Aug. 10, 1914 - Jul. 2, 1935. Eugene Culpepper, Son, M, Wh, 2, sng, VA/NC/VA. Eugene Culpepper, Son, M, Wh, 12, sng, VA, 1935 in same house. Obituary of Martha Elizabeth "Bettie" Culpeper (#1244), published 11 Aug 2000, Page B8. Obituary* 31 Mar 1997� Fleetwood Wilson Culpeper Sr., 84, of the 2800 block of Buskey Road, died Saturday, 29 Mar 1997. Mr. Culpeper was born in old Norfolk County and was the son of Bettie E. Culpeper of Chesapeake and the late George W. Culpeper. He was the widower of Vivian H. Culpeper. He had retired after 50 years as a Chesapeake farmer. He had served as a deacon and trustee of Pleasant Grove Baptist Church. He was a member of the A.S.C.S. and a former member of the Hickory Ruritan Club. Other survivors include his two daughters, Barbara Curles and Gloria Reid; his three sons, Fleetwood Culpeper Jr., Forrest Culpeper and Winfred Culpeper, all of Chesapeake; his sister, Blanche Hassell of Salem, Va; his brother, Eugene Culpeper of Wilmington, Del; 14 grandchildren; 13 great-grandchildren; and a special friend and companion, Lillie Mae Umphlett. Charles F. Culpepper, Son, M, Wh, 1, sng, VA.
Obituary of Fleetwood Wilson Culpeper Sr (#1245), published 31 Mar 1997, Page B6. + Culpeper, Vivian H., 58717876, 1912 - 1988. Blanche E Culpeper Hassell, 66371401, May 3, 1917 - Nov. 7, 2001. 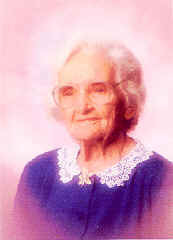 Obituary of Blanche Culpepper Hassell (#1247), published 9 Nov 2001. James Franklin Culpepper, 220 S 4th St, Wilmington, New Hanover Co., NC, age 18, born 18 Jun 1900, White, Attends school at Driver's A-Hight School in Driver, Nansemond Co,, VA; Nearest relative: B. F. Culpepper, 220 S 4th St, Wilmington, New Hanover Co., NC, Medium Height, Medium Build, Blue eyes, Light Brown hair, has compound fractures... (illegible, but sounds extensive) and is now in Spicer's Sanitarium; registered 12 Sep 1918 at Goldsboro, Wayne Co., NC (signed with his mark). Edward Culpepper, Son, M, Wh, 2, S, VA/VA/VA, None. Edward Culpepper, Son, M, Wh, 11, S, VA/VA/VA. ED 23, sheet 3, line 51. Edward R. Culpepper, Son, M, 20, S, In school, VA, VA, VA, Clerk in Real Estate. Chas V. Culpepper, Son, Wh, M, Jan 1899, 1, S, VA/NC/NC. Quinton Lorenza Culpepper, White, born 19 Jul 1885 in Hickory, Virginia, residing in Norfolk, Virginia, registered 27 Apr 1942. Nollie Hermon Culpepper, White, born 10 Dec 1891 in Hickory, Virginia, residing in Norfolk, Virginia, registered 27 Apr 1942. Nolly Herman Culpepper, age 26, 1107 E Main St, Norfolk, VA, born 10 Dec 1891 in Norfolk, VA, Chauffer (self-employed) at E Main Train Sta, Dependents: Wife and child, Married, Caucasian, No prior military service, Claims no exemption from draft, Stout Height, Short Build, Grey eyes, Dark hair, not bald, no physical disqualifications; registered 5 Jun 1917 at Norfolk, Norfolk Co., VA (signed with his mark). Eddie E. Culpeper, Son, M, Wh, 14, S, VA/NC/VA, Laborer-Metal Shade Co.
Nollie H. Culpeper, Son, M, Wh, 18, S, VA/NC/VA, Farm Laborer-Working out. Ethel Culpepper, Stepdaughter, F, Wh, 14, sng, VA/VA/VA. notes from a Bible record. Edward Grandy Culpepper, age 22, 131 Bainbridge St, So Norfolk, VA, born 17 Jan 1894 in Mt. Pleasant, VA, Laborer for Jas. G. Wilson Corp in So. Norfolk, VA, Dependents: None, Single, Caucasian, No prior military service, Claims no exemption from draft, Medium Height, Medium Build, ?? eyes, ?? hair, not bald, no physical disqualifications; registered 5 Jun 1917 at Norfolk, Norfolk Co., VA (signed with his mark). Edward Grandy Culpepper, White, born 17 Jan 1895 in Norfolk, Virginia, residing in South Norfolk, Virginia, registered 27 Apr 1942. Charlie Vernon Culpepper, White, Male, married Helen Elizabeth Ginther in 1949 in Pasquotank Co., NC. Ellen Cooper, Servant, F, Wh, 39, Div, Sweden/Sweden/Sweden, House Keeper. William E. Byrd, Step-Son, M, Wh, 16, S, VA/VA/VA, Boiler Maker Helper-Iron Works. Nannie Culpepper, Wife, F, Wh, 55, md@17, VA/VA/VA. William Taylor, Step Son, M, Wh, 20, sng, VA, 1935 in same house, Salesman/Retail Grocery.